VDC2017: HTC unveils VIVE FOCUS, its first standalone VR headset for the China market. HTC Corporation today held its VIVE Developer Conference 2017 (VDC2017) where it announced VIVE FOCUS, its premium standalone VR headset for the China market that is based on the Vive Wave VR open platform. Specifically designed to appeal to a mass market audience, the Vive Focus offers enhanced comfort for extended use, easy on-off capabilities, and is the first commercial standalone device to deliver inside-out 6-degree-of-freedom tracking (6DoF) which Vive calls "world-scale". 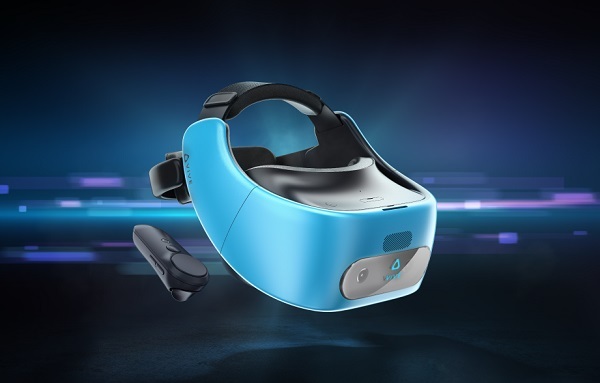 Without the need to be attached to a PC or a phone, the Vive Focus provides unlimited freedom of mobility while reducing the total cost for users to own a premium VR device. Furthermore, its high-resolution AMOLED screen realizes the best possible VR experience, with low latency and unmatched clarity. The Vive Focus is powered by the advanced features of the Qualcomm Snapdragon 835 VR Platform and utilizes the Vive Wave VR open platform, including the rich library of VR content available on the Viveport.